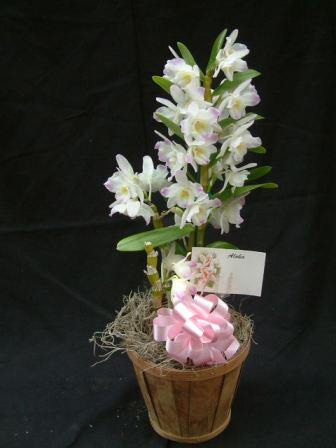 This basket offers a pair of coordinating and dramatic orchid plants in a traditional Hawaiian Lauhala basket, specially selected by our greenhouse design experts. 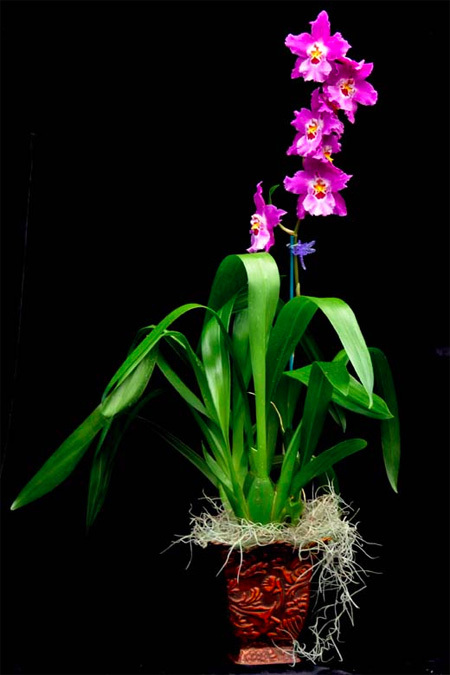 Combinations are based on seasonal availability and may include any 2 complimentary orchids including: long lasting phalaenopsis plants, an lovely intergeneric mix or potentially a dramatic pairing of brightly colored oncidiums. Colors may range between pinks, purples, whites, greens, yellows and deep violets.